I met Jordan the year before. I entered into our first real conversation with my future wife as a nervous wreck. A group of us went to a Jason Morant concert (What happened to that guy?) and afterward, in typical post-concert fashion, we went to Denny’s to get a grand slam and a crummy cup of coffee. God answered my prayers, I got to sit right next to Jordan! But there was a problem. When I am nervous I am loud and annoying. I was trying to be funny, instead, I came off as a jerk. Our first time talking and I blew it! But God wanted to show his power, and somehow, after about 10 months or so, we were engaged! Jordan and I got married July of 2010. It was my third year of pastoral ministry. I was working two jobs at the time. Cornerstone Church had brought me on as an intern and I was working construction as my side job. Up until marriage, I had all the time in the world. I did not need much money and I could spend all the time I wanted with ministry stuff. Now, I was having fun, but I was learning about marriage, work, and priorities. Those were the themes of 2010. If you haven’t heard the saying it goes like this, “Every pastor has a mistress, her name is the church.” Year three was the start of a lifelong process. Learning the priority of husbandry and family over ministry. Pastoral ministry is notoriously strange. It is the easiest calling in the world to justify becoming central in a man’s life. Unfortunately, church history is full of stories of pastors who have neglected their wife and kids because they had to do “The Lord’s Work.” The nobler to work the more seductive a false gospel it can be. God calls pastoral ministry noble (1 Tim 3:1), and to insecure pastors is it seductive false gospel indeed. God opened my eyes to the reality that it is possible to be praised by everyone in the congregation but your family. Who wants that?! This was also the year that I learned how hard bi-vocational work is. I have worked on many construction sites since, but I have to say the crew I worked with for 5 months after marriage was the absolute worst. My boss was a piece of work. You may have has a bad boss before, but your bad boss was a Care Bear compared to this guy. It was a miracle I lasted as long as I did! Eventually, I got hired to throw around (I mean carefully handle) boxes for UPS. But that construction job was good for me. Construction workers have it hard. So do most of the working people in the church. I needed to know that! Shepherding is blue collar work. The pastor is not a CEO as much as he may want to be. I needed to learn, to be a pastor is to be a hard worker. It involves the joy of seeing babies born and the heartache of fighting for marriages that fall apart. It requires being with people. Being present. Shepherds learn about the pressures that other sheep are carrying. 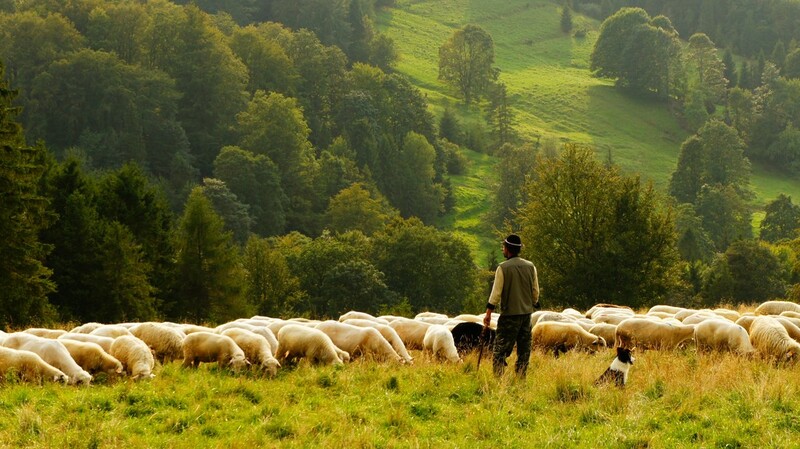 I needed to learn that the people I shepherd have hard callings as well. That’s what bi-vocational ministry taught me and is teaching me. We (Pastors) need to remember that! In many ways, we have it easier than the people in our congregation. We get told how good of a job at least once a week and some of us even get Sabbaticals. That’s a whole lot more than what many of our people get. It’s been ten years since I was ordained into Pastoral Ministry. These were the lessons from year three. By grace, I am trying to take not of the journey!